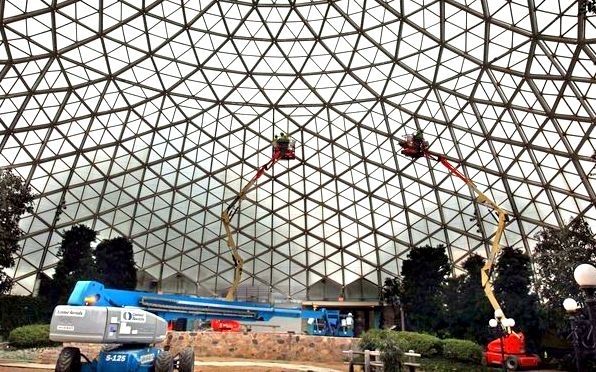 Beginning in March 2016 Masonry Restoration, Inc was hired to install wire mesh onto three Dome structures. 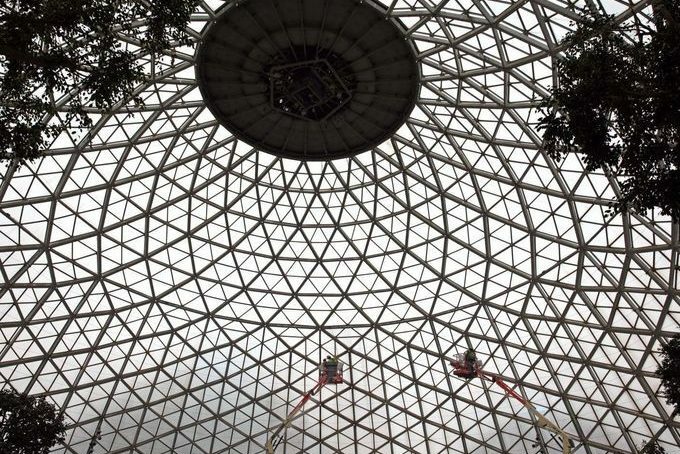 The process began by installing stainless steel brackets onto the concrete frame of the Dome. 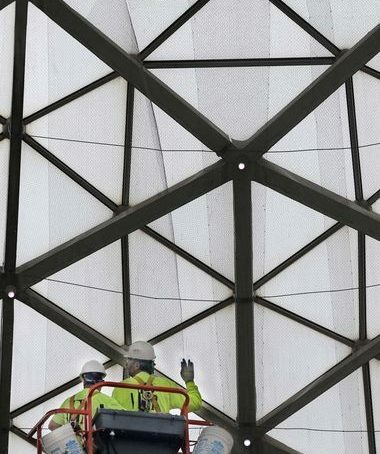 These anchored the netting to the existing concrete frames. 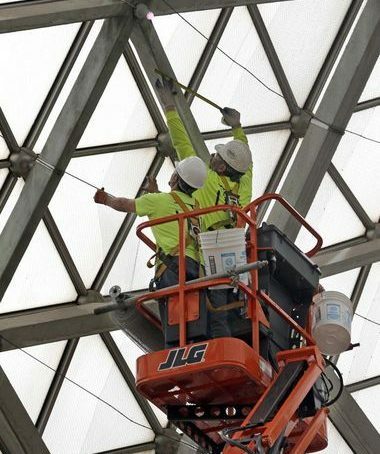 In some cases the brackets needed to be covered with flashing to keep them from touching other metal elements of the structure in order to prevent possible rusting. 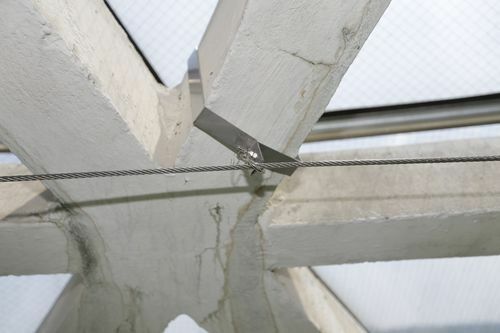 The second step was to connect cables to the brackets using stainless steel cable clamps. 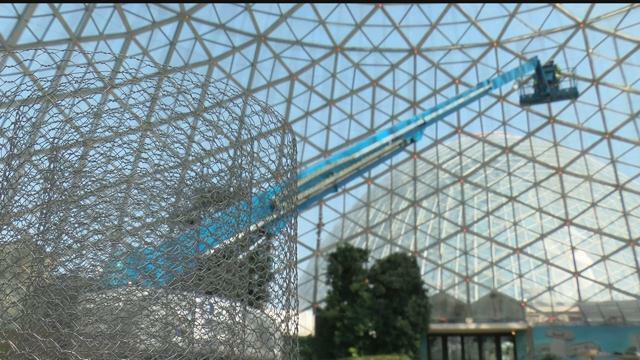 This was the support structure for the netting. 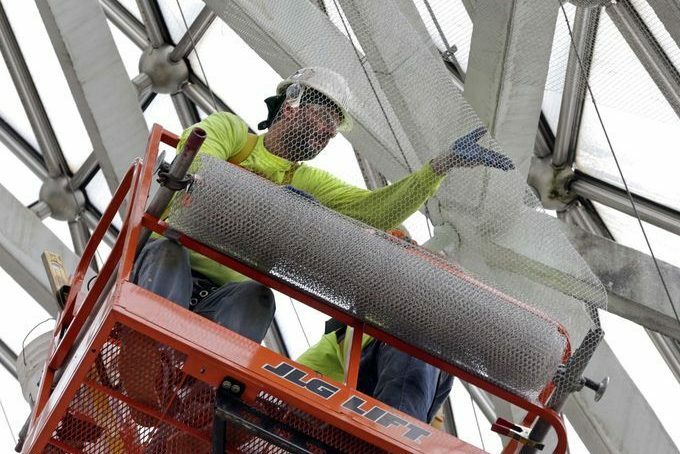 Finally, the stainless steel diamond mesh netting was attached to the cables with hog ties, over 15,000 in total. 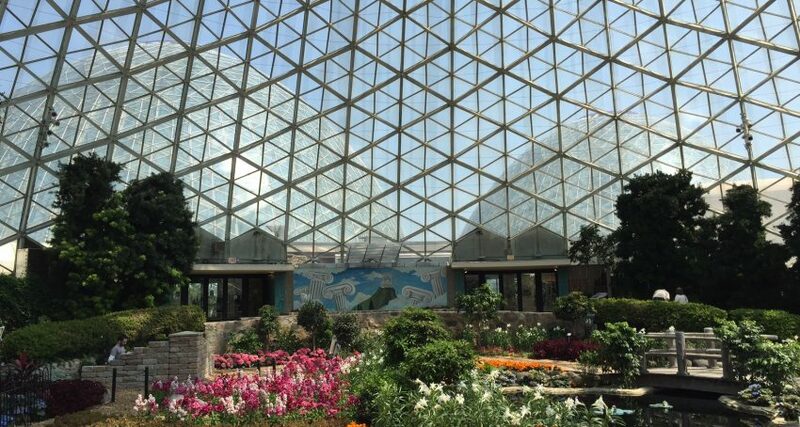 Work was completed in October 2016, under budget and ahead of schedule.